Welcome to the Thomas Sumter Academy website. Included in these pages is a plethora of information vital to you, whether you are a current family or a prospective family. The pages of our website have weekly e-letters for both current and prospective families as well as information regarding tuition, payment plans, and financial aid and scholarship information. I invite you to review as much as you feel is necessary. themselves apart from other students in the area through increased critical thinking skills and soft skills through collaborative learning. Thomas Sumter has also been certified by South Carolina Independent Schools Association (SCISA) as a STEAM school. program enables Juniors and Seniors access to college professors and college courses – on campus. It also enables these students to earn as many as 24 college credit hours – and some earn even more. In speaking with graduates, the Dual Enrollment program has enabled them to even graduate in three years vice four, or use the fourth year to gain their master’s degree. Certainly a win-win scenario. Athletically, we are very competitive in all of our sports programs from football, volleyball, and cross country to swimming and basketball. We have seen State Champions in football, basketball, and Girl’s softball. State runner-ups in Girl’s Volleyball, and regional and individual state champions in golf and archery. From a character perspective we not only espouse core values but also learn about character through traits such honor, integrity, and commitment. Thomas Sumter has a very strong Honor Code, Honor Pledge, and Honor Council. Acta Non Verba is more than our our logo – it is a way of life. 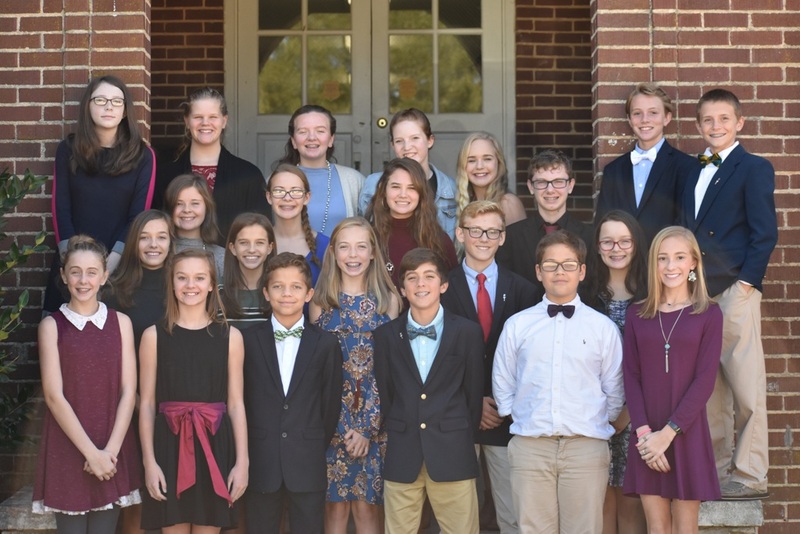 Our students embody servant principled leadership – through our service organizations such as National Junior Honor Society, National Honor Society to our Executive Student Council and Student Council. Our students serve — their school, their community, and their state. Please give us a call. Speak with our students, our parents, and our faculty. Schedule an appointment today and see what the TSA Difference is: T​enacity. S​upports. A​chievements.